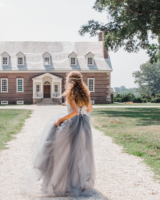 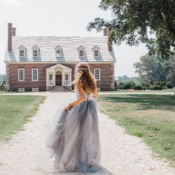 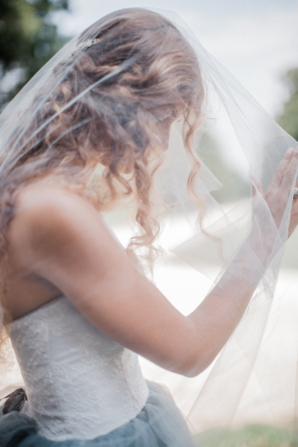 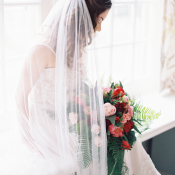 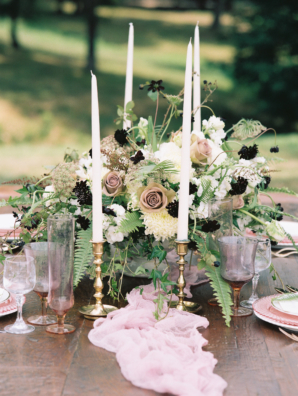 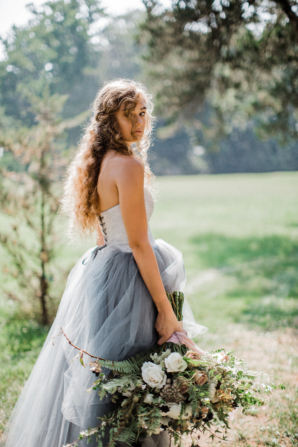 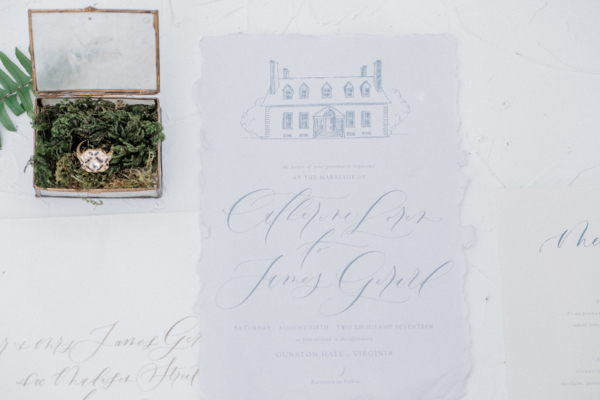 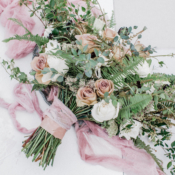 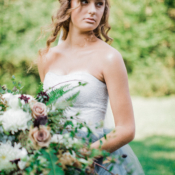 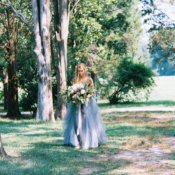 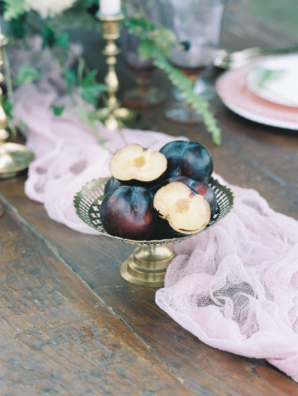 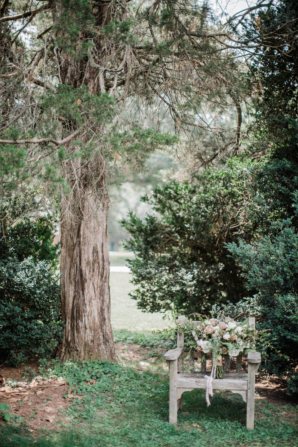 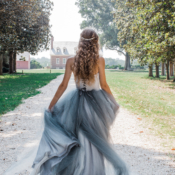 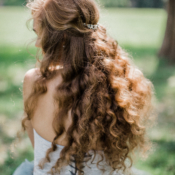 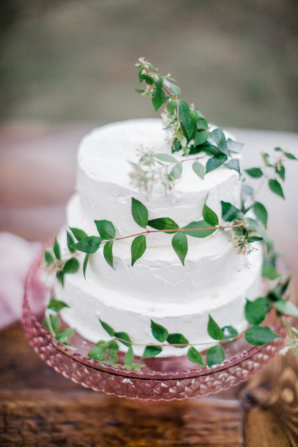 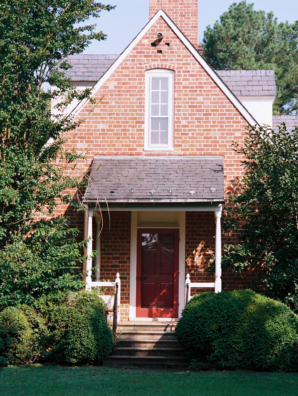 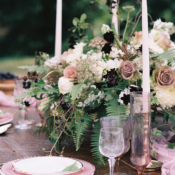 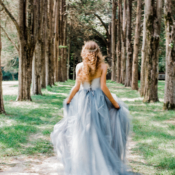 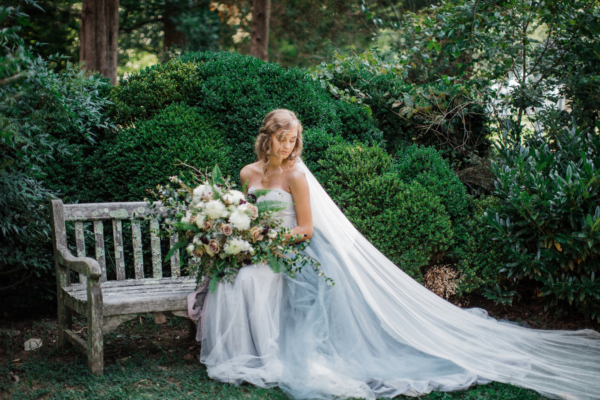 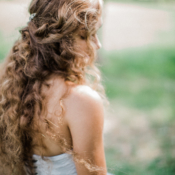 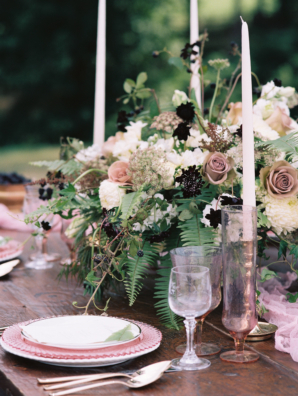 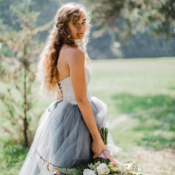 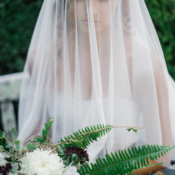 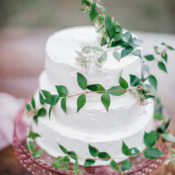 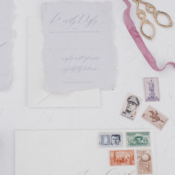 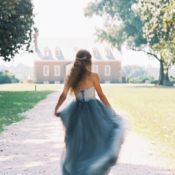 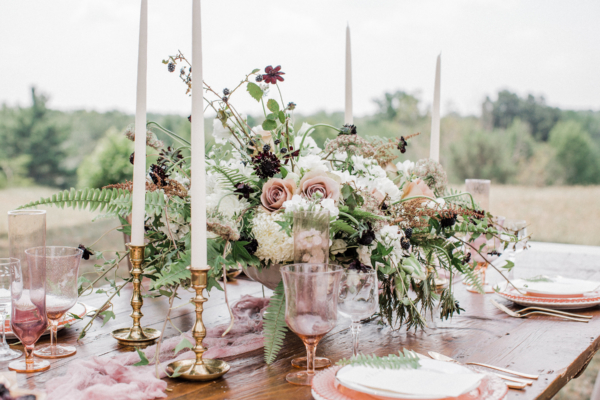 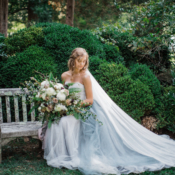 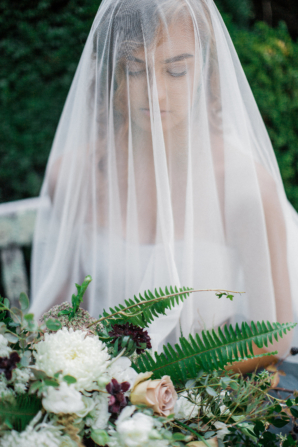 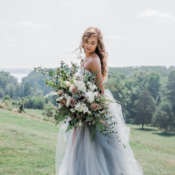 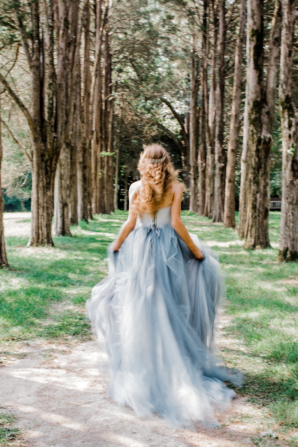 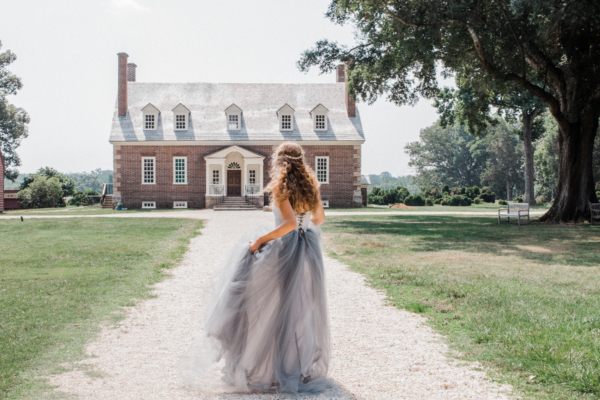 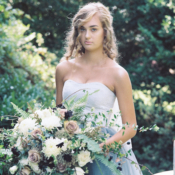 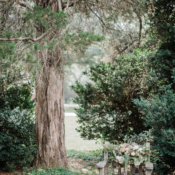 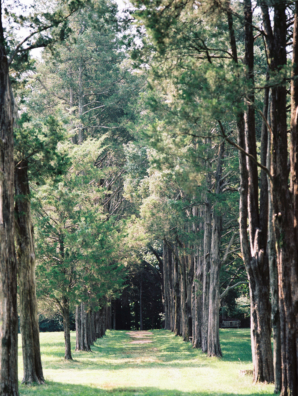 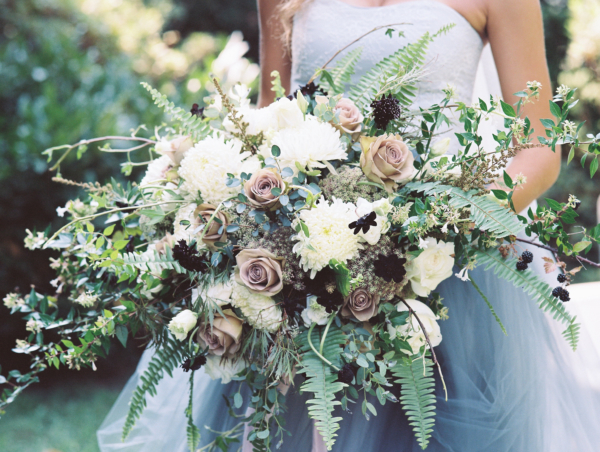 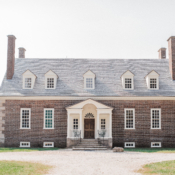 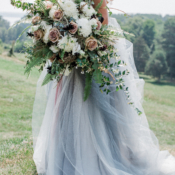 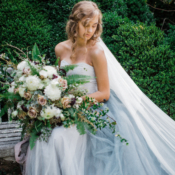 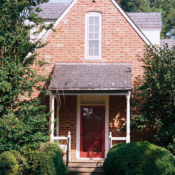 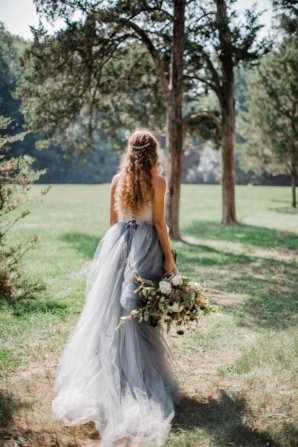 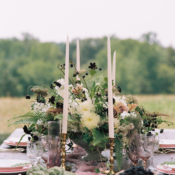 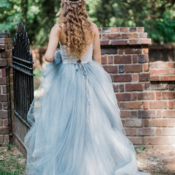 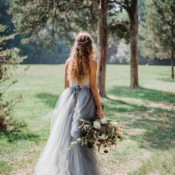 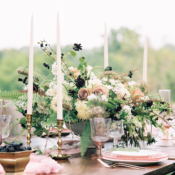 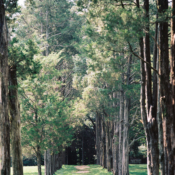 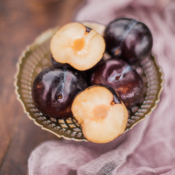 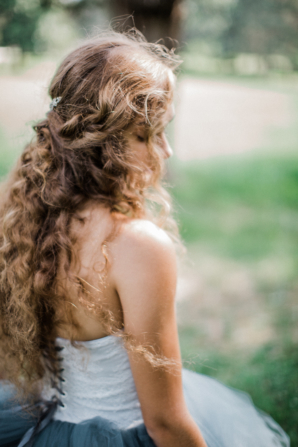 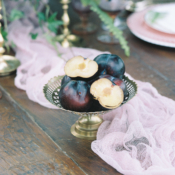 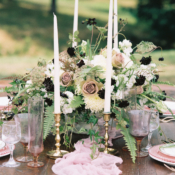 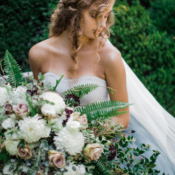 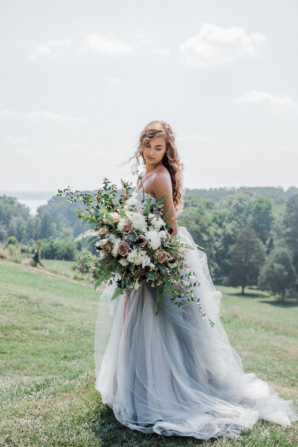 Gunston Hall Plantation set the scene for this romantic and organic inspiration shoot from Amelia Lawrence and Andrea Rodway capturing the magic of old-world Virginia with an organic, romantic feel. 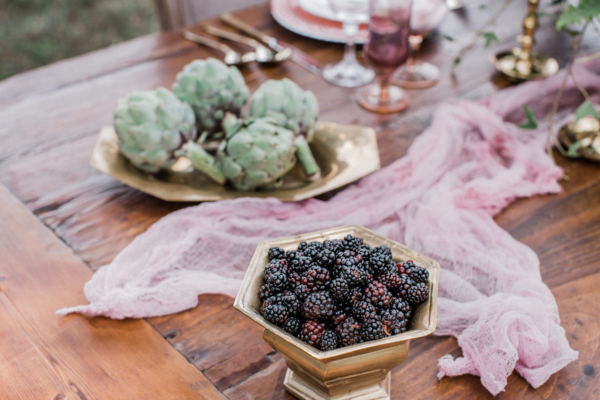 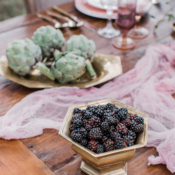 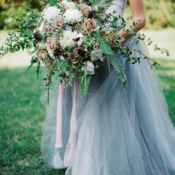 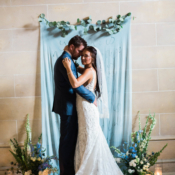 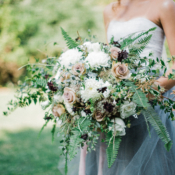 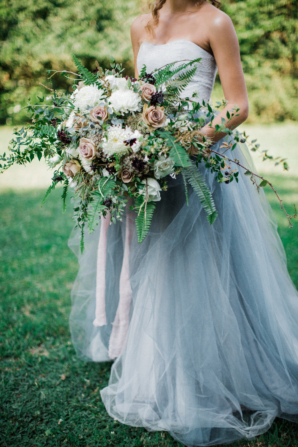 A soft palette of dusty blues and mauves with deep plum was brought to life with textures like ivy and fern accents and wild Virginia blackberries, and sweeping fabrics, such as the hand-dyed cheesecloth table runner and spectacular tulle gown from French Knot Couture. 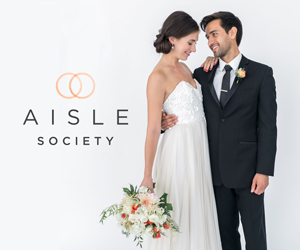 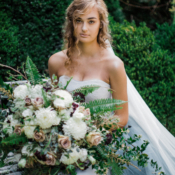 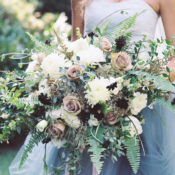 Vintage Floral Design created large, organic arrangements and a dramatic hand-tied bouquet of Earl Gray roses, white fluffy chrysanthemums, and chocolate cosmos. 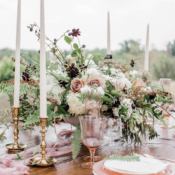 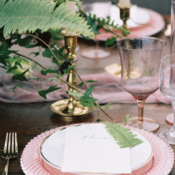 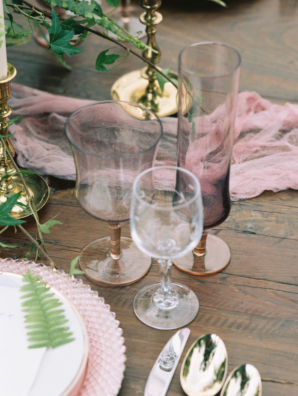 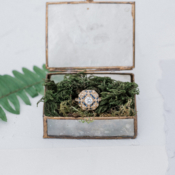 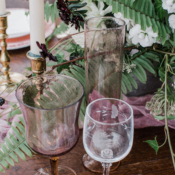 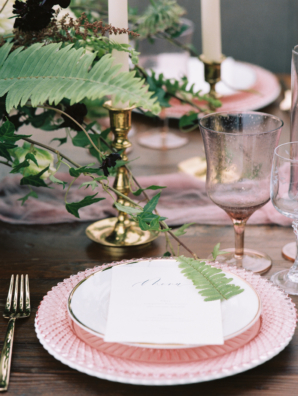 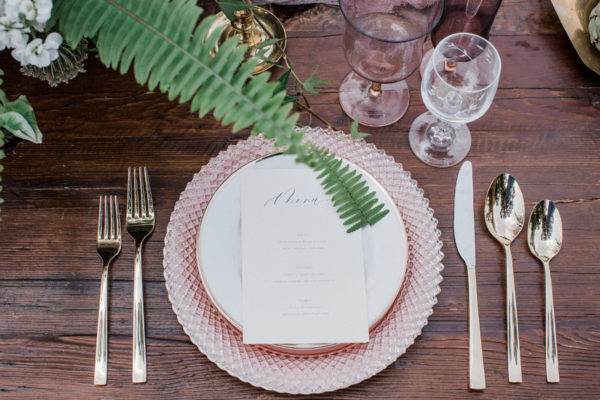 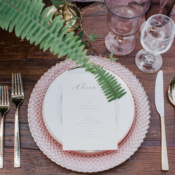 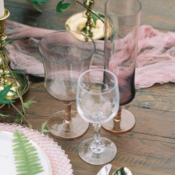 The tabletop echoes the historical surroundings with vintage elements such as depression glass, brass candlesticks, and softly-hued glassware. 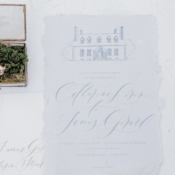 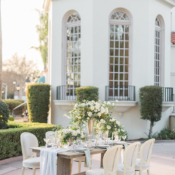 From the mansion to the Magnolia lined road, the lovely tablescape to the elegant stationery, every moment captured by Andrea Rodway is absolutely picture-perfect!